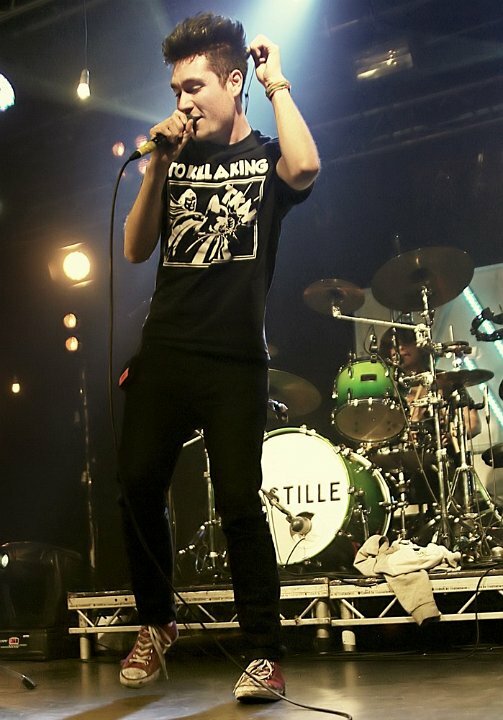 Photo gallery of Bastille band members wearing chucks in performance and casual poses. 1 Bastille Dan Smith and the other band members in a comic pose. 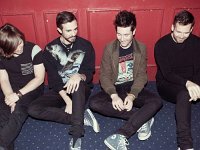 2 Bastille Casual photo of the band. 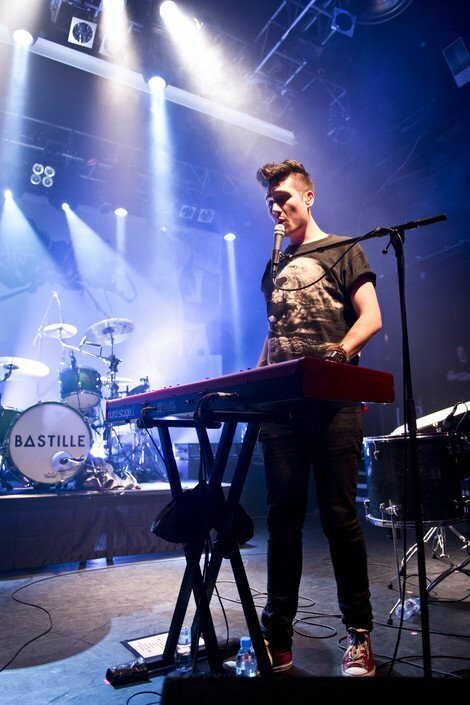 3 Bastille Dan Smith performing on keyboards in his red high top chucks. 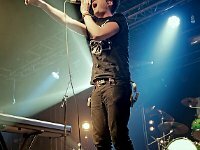 4 Bastille Dan Smith singing in concert. 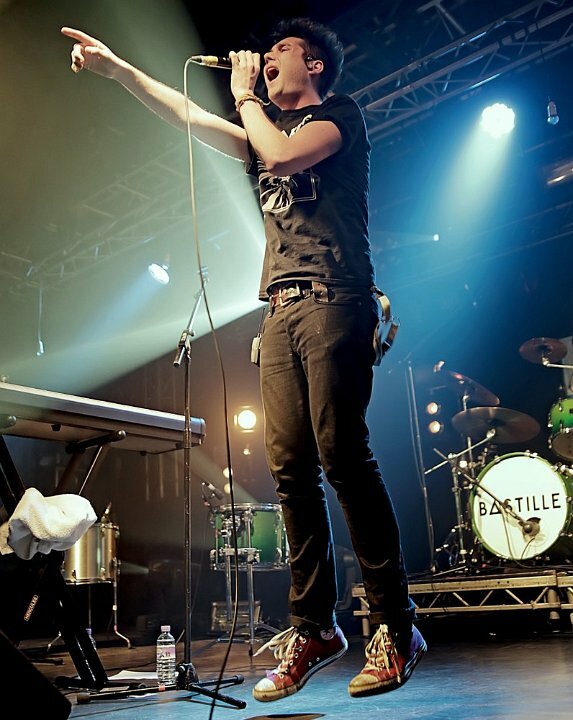 5 Bastille Dan Smith singing in his red high top chucks. 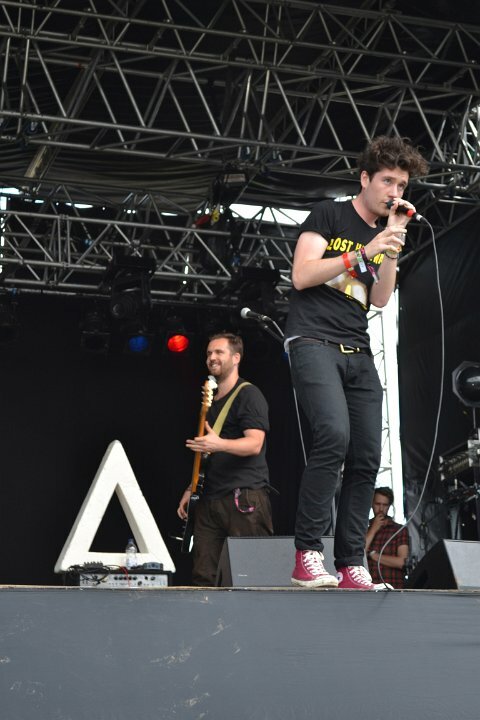 6 Bastille Dan Smith at the edge of the stage. 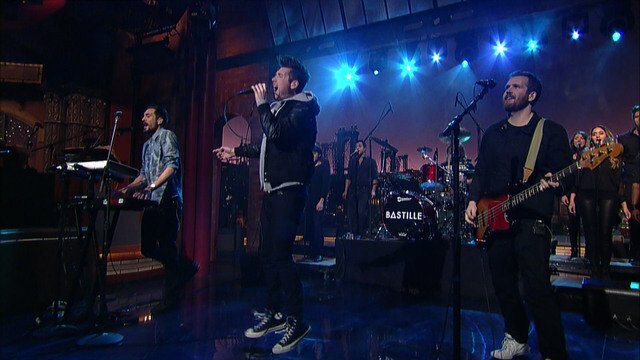 7 Bastille Bastille in performance. 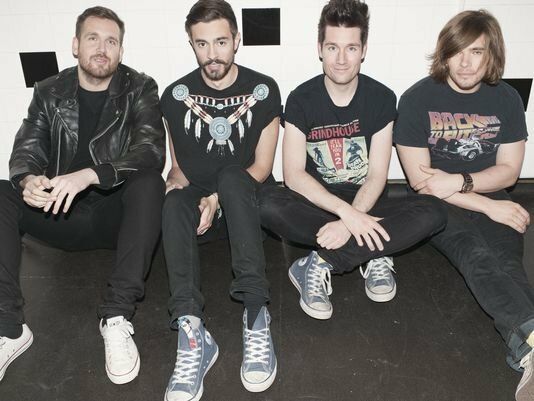 8 Bastille Casual photo of Dan Smith and Kyle Simmons wearing high top chucks. 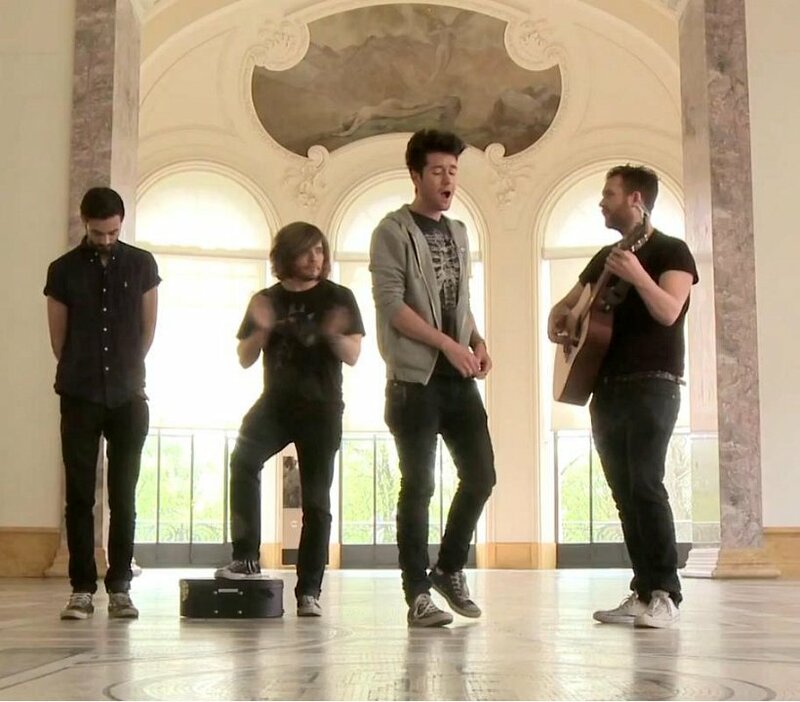 9 Bastille Bastille doing their version of the Abbey Road album cover. 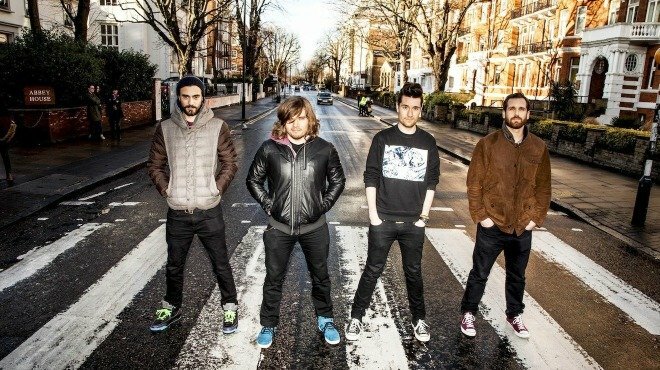 10 Bastille Another Abbey Road shot. 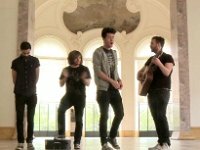 11 Bastille Performing inside a marble gallery. 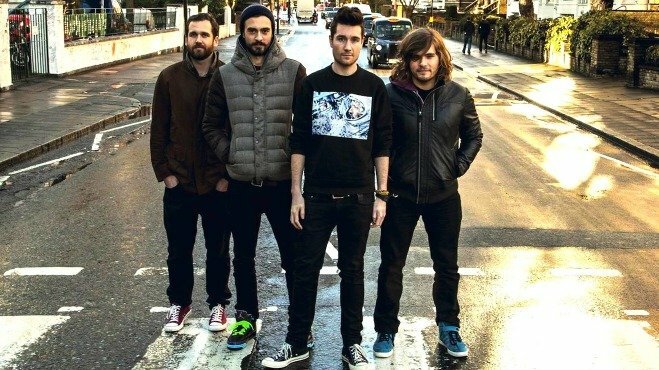 12 Bastille Bastille band members wearing various high top blue and white low cut pairs of chucks. 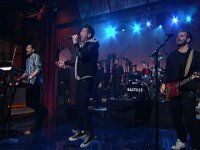 Bastille (stylized as BΔSTILLE) are an English rock band formed in London in 2010. 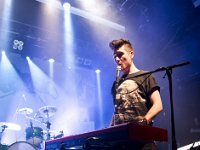 They began as a solo project by singer-songwriter Dan Smith, who later decided to form a band. 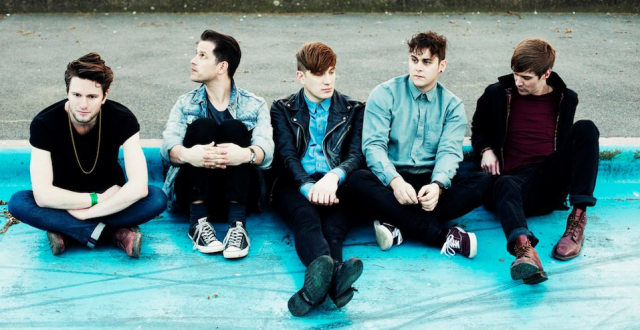 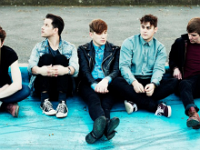 The four-piece consists of Dan Smith, Chris Wood, William Farquarson and Kyle Simmons. 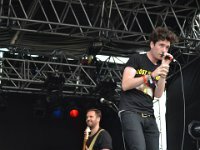 The name of the band derives from Bastille Day – an event celebrated on Smith's birthday, 14 July.